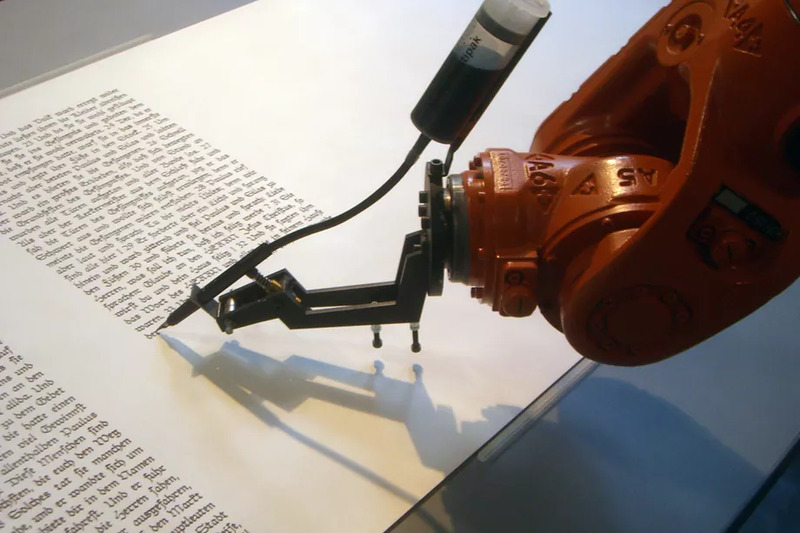 From short stories to writing 50,000 word novels, machines are churning out words like never before. There are tons of examples available on the web where developers have used machine learning to write pieces of text, and the results range from the absurd to delightfully funny. Thanks to major advancements in the field of Natural Language Processing (NLP), machines are able to understand the context and spin up tales all by themselves. Examples of text generation include machines writing entire chapters of popular novels like Game of Thrones and Harry Potter, with varying degrees of success. In this article, we will use python and the concept of text generation to build a machine learning model that can write sonnets in the style of William Shakespeare. Nowadays, there is a huge amount of data that can be categorized as sequential. It is present in the form of audio, video, text, time series, sensor data, etc. A special thing about this type of data is that if two events are occurring in a particular time frame, the occurrence of event A before event B is an entirely different scenario as compared to the occurrence of event A after event B. However, in conventional machine learning problems, it hardly matters whether a particular data point was recorded before the other. This consideration gives our sequence prediction problems a different solving approach. Text, a stream of characters lined up one after another, is a difficult thing to crack. This is because when handling text, a model may be trained to make very accurate predictions using the sequences that have occurred previously, but one wrong prediction has the potential to make the entire sentence meaningless. However, in case of a numerical sequence prediction problem, even if a prediction goes entirely south, it could still be considered a valid prediction (maybe with a high bias). But, it would not strike the eye. This is what makes text generators tricky! For a better understanding of the code please go through my previous article, where I have discussed the theory behind LSTMs. This is self-explanatory. We are importing all libraries required for our study. Here, we are loading a combined collection of all Shakespearean sonnets that can be downloaded from here. I cleaned up this file to remove the start and end credits, and it can be downloaded from my git repository. The text file is opened and saved in text. This content is then converted into lowercase, to reduce the number of possible words (more on this later). Mapping is a step in which we assign an arbitrary number to a character/word in the text. In this way, all unique characters/words are mapped to a number. This is important, because machines understand numbers far better than text, and this subsequently makes the training process easier. I have created a dictionary with a number assigned to each unique character present in the text. All unique characters are first stored in characters and are then enumerated. It must also be noted here that I have used character level mappings and not word mappings. However, when compared with each other, a word-based model shows much higher accuracy as compared to a character-based model. This is because the latter model requires a much larger network to learn long-term dependencies as it not only has to remember the sequences of words, but also has to learn to predict a grammatically correct word. However, in case of a word-based model, the latter has already been taken care of. But since this is a small dataset (with 17,670 words), and the number of unique words (4,605 in number) constitute around one-fourth of the data, it would not be a wise decision to train on such a mapping. This is because if we assume that all unique words occurred equally in number (which is not true), we would have a word occurring roughly four times in the entire training dataset, which is just not sufficient to build a text generator. This is the most tricky part when it comes to building LSTM models. Transforming the data at hand into a relatable format is a difficult task. I’ll break down the process into small parts to make it easier for you. Here, X is our train array, and Y is our target array. seq_length is the length of the sequence of characters that we want to consider before predicting a particular character. Now, LSTMs accept input in the form of (number_of_sequences, length_of_sequence, number_of_features) which is not the current format of the arrays. Also, we need to transform the array Y into a one-hot encoded format. We first reshape the array X into our required dimensions. Then, we scale the values of our X_modified so that our neural network can train faster and there is a lesser chance of getting stuck in a local minima. Also, ourY_modified is one-hot encoded to remove any ordinal relationship that may have been introduced in the process of mapping the characters. That is, ‘a’ might be assigned a lower number as compared to ‘z’, but that doesn’t signify any relationship between the two. We are building a sequential model with two LSTM layers having 400 units each. The first layer needs to be fed in with the input shape. In order for the next LSTM layer to be able to process the same sequences, we enter the return_sequences parameter as True. Also, dropout layers with a 20% dropout have been added to check for over-fitting. The last layer outputs a one hot encoded vector which gives the character output. We start off with a random row from the X array, that is an array of 100 characters. After this, we target predicting another 100 characters following X. The input is reshaped and scaled as previously and the next character with maximum probability is predicted. seq is used to store the decoded format of the string that has been predicted till now. Next, the new string is updated, such that the first character is removed and the new predicted character is included. You can find the entire code on my git repo here. I’ve provided the training file, notebooks and trained model weights for your reference. This output doesn’t make much sense. It is nothing but a repetition of the same prediction, as if it’s stuck in a loop. This is because language prediction models are way too complex when compared to the miniature model that we have trained. Let’s try to train the very same model, but for a longer period of time. This time we trained our model for 100 epochs and a batch size of 50. We at least obtained a non-repetitive sequence of characters, which contains a decent number of legitimate words. Also, the model learnt to produce a sonnet-like word structure. how ap i am nnw love, he past doth fiamee. However, this model is still not good enough to produce quality content. So now we’ll do what everyone does when a deep learning model is not producing decent results. Build a deeper architecture! A wise man once said: if the model is not doing good, increase the number of layers! I’m going to do the same with my model. Let’s add another LSTM layer with 400 units followed by a dropout layer of 0.2 fraction and see what we get. the rose looks fair, but fairer bomments age. the world will was iis bound and farty "
The result is interesting. The grammar has enhanced itself, keeping the sonnet structure and punctuation intact. However, this still requires a lot of improvement. Let’s try and explore a wider network, one with more number of units. when i braye the would and lays in the eesire. and touain then tor, give thy soue semping. though i, suoll oas, and i lose bouh twa"
This is a little disappointing at first, because the words have lost their meaning. But, what’s interesting to note here is that there is some rhyme that is building up. The model is trying to understand poetry after all! But, we cannot compromise with meaningful words, right? Let’s put it all together in a one gigantic model. This not only has sensible words, but has also learnt to rhyme. We could have had a more sensible piece of art had the data that was fed into the network been cleaned properly! But as a starting piece, this model has more than done what it was asked. It is way more poetic than most humans could ever get! What makes a text generator more efficient is its capability to generate relevant stories. This is being implemented by many models at the output level, to generate actual language-like text, which can be difficult to differentiate from one written by humans. Andrej Karpathy’s character level RNN model is one such masterpiece, a sufficiently trained model on this framework gives some eye-popping results. Also, there are models which can generate clickbaits via an automated process and grab people’s attention! In all, text generators can find great applications, right from creating original art, to regenerating content that has been lost. One revolutionary application of such text generators could be the point where we could train them to write and manipulate code. Imagine a world where computer programs and algorithms can modify themselves, as and when required. Please use the below comments section to ask any questions or leave any feedback.